The Octagonal Web Style 46" picnic table has plastic coated 3/4" expanded metal tops and four attached seats with rolled edges. Made with unique and sturdy bolted 2 7/8" OD galvanized steel web frames. 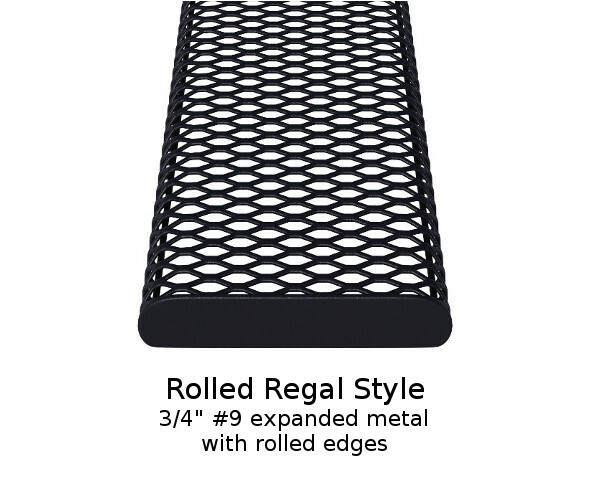 Available in surface mount or portable styles. 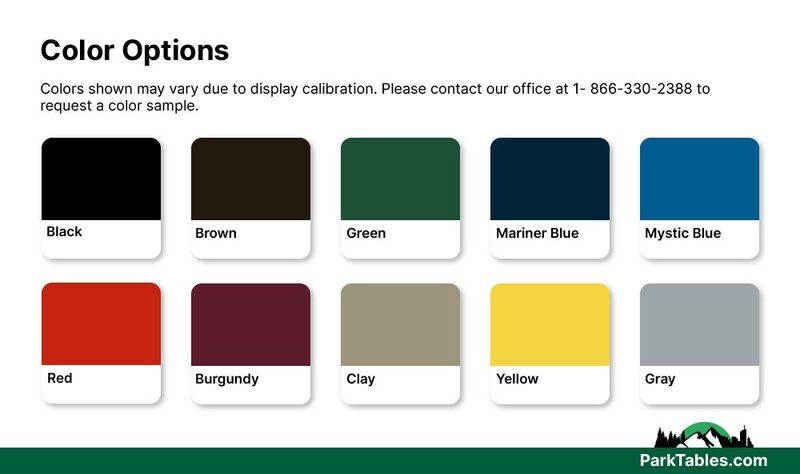 Choose a variety of colors to add style to your area. Surface mount covers sold separately and only with the product at the time of purchase. 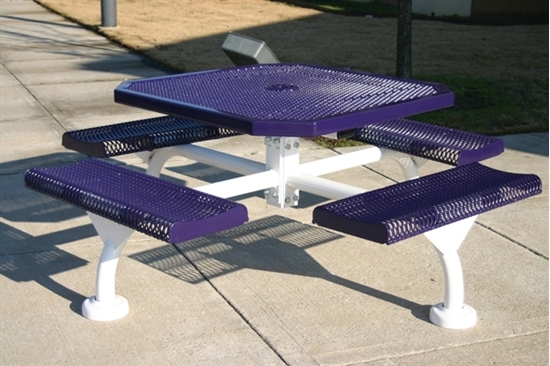 Our commercial picnic tables are ready to service your school, park, or community for many years. 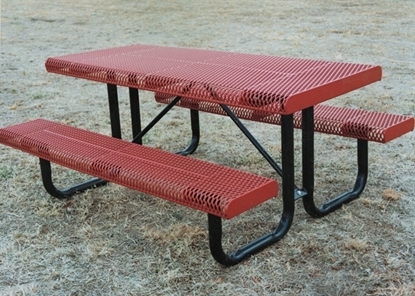 Rectangular 6' Thermoplastic Steel Picnic Table, Regal Rolled Style, 213 lbs.